Sarah Jeane is of service as an angelic counselor healer, intuitive medium, angelic channel, spiritual teacher, inspirational speaker, author, visionary artist and graphic artist, guiding people to remember their true essence of love. 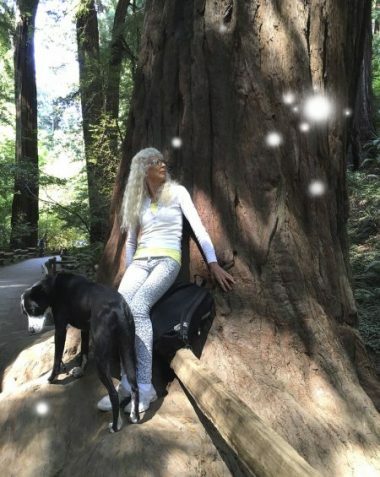 Her books “Twelve Doorways of Light & Sacredness of Life” are also encompassing a journey to discover the God Self or Angelic Self—awakening to our oneness and divine design, the Tree of Life. Sarah Jeane will share her experience with the Angelic Luminous Beings: How she was healed several times as she was taken into higher dimensions of Light and embraced by the Light, a force of Love that is unconditional—how she was guided by the Angels into Heaven to sing with them the name of God! With Sarah Jeane you will explore the role of the Angelic luminous beings in your lives—how they manifest in your lives! Sarah Jeane will guide you through an amazing meditation and visualization—to experience your Angelic Self, to raise your frequency, and commune with the Angelic Luminous Beings. Sarah Jeane will offer to one person an additonal personal energetic healing guided by the Angelic Beings and Great Masters of the Light. Angels’ Blessings of Love and Peace.